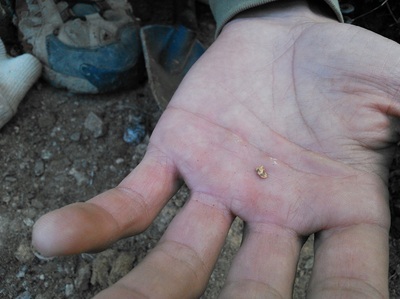 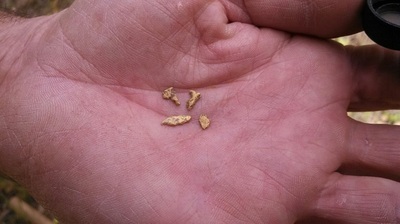 Here are pictures of gold found on a recent trip, locally. 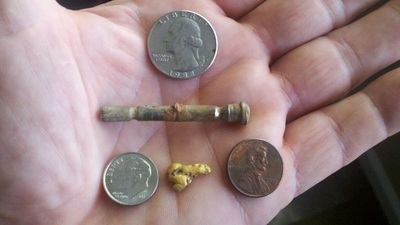 Larger pieces were found with a GP3000 and the smaller bits were found with a VLF unit. 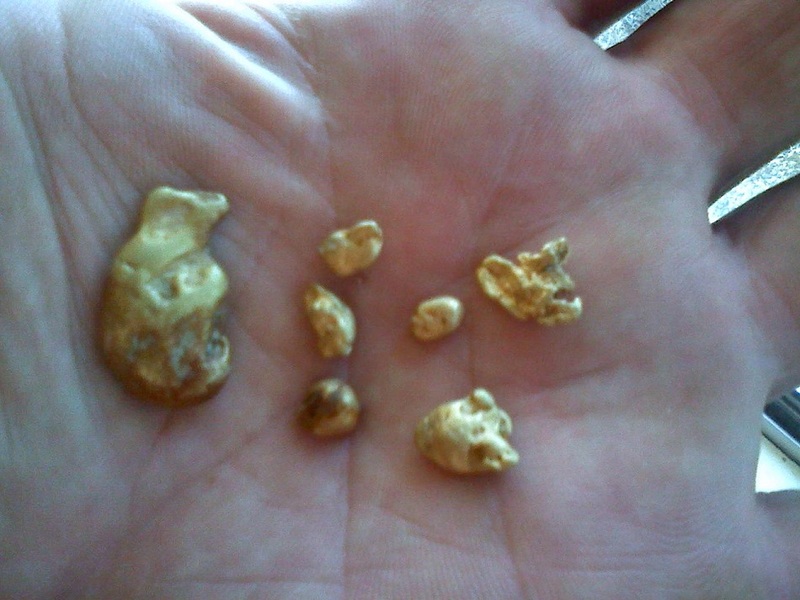 All of the nuggets above have been found in just the past few years, gold is still out there. 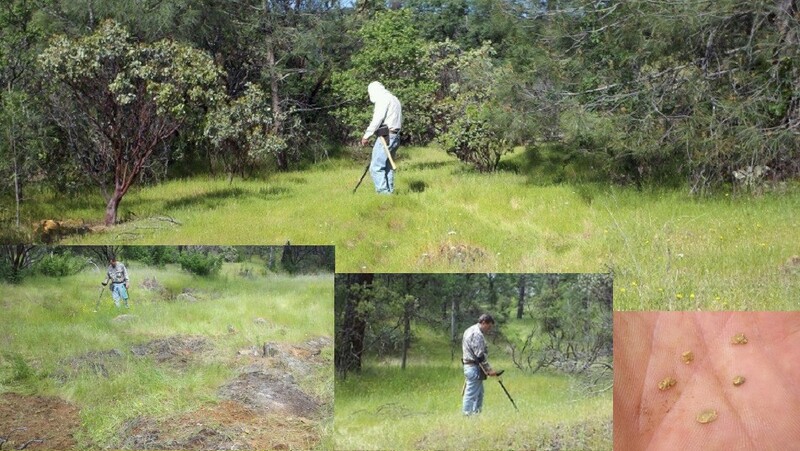 You have to learn what to look for, do the research on property, and then gain permission to detect. 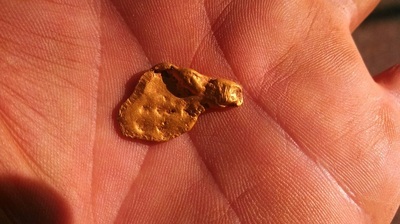 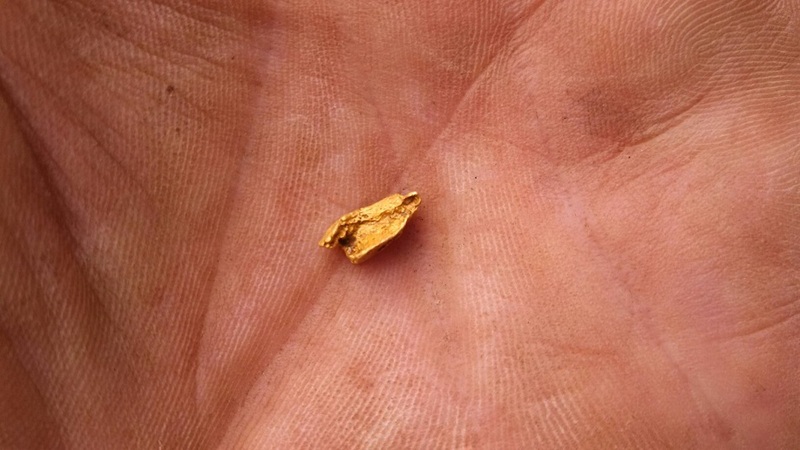 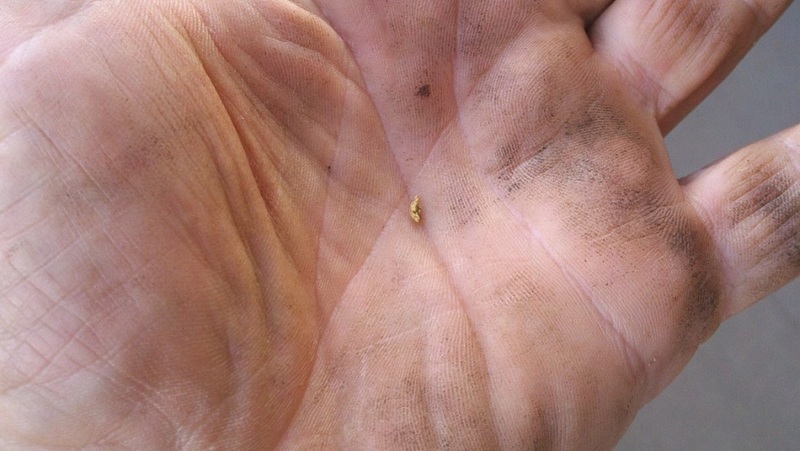 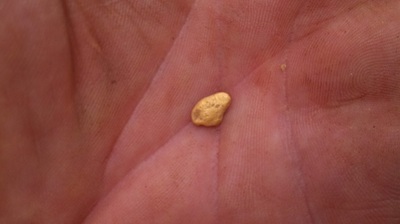 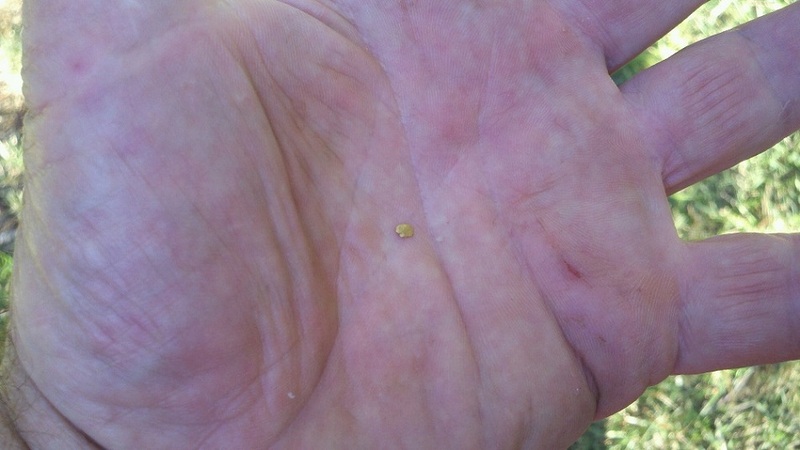 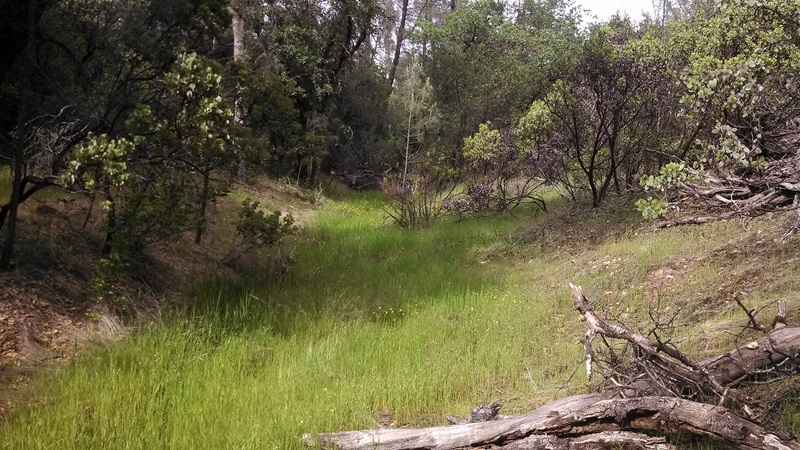 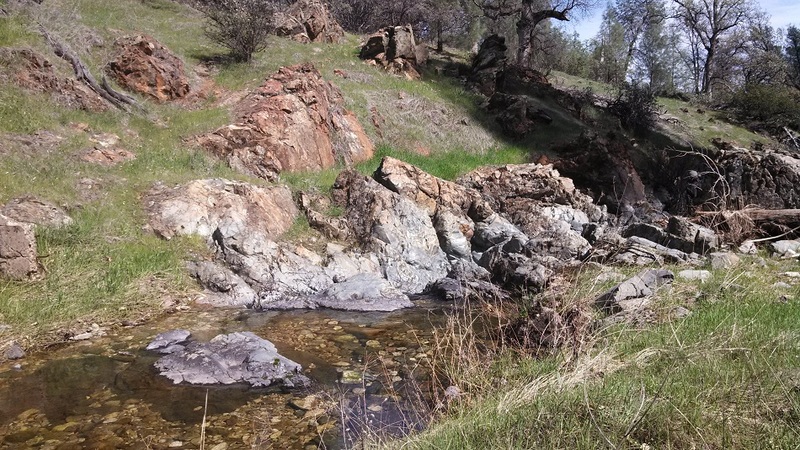 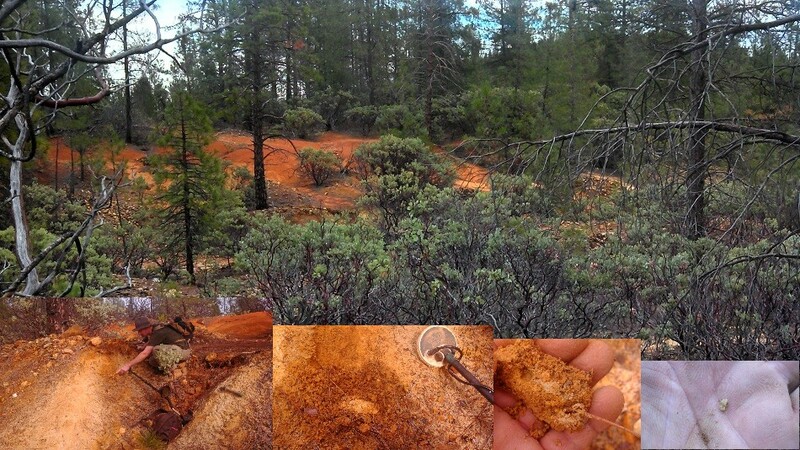 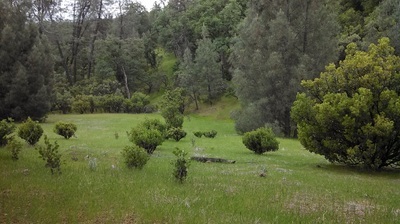 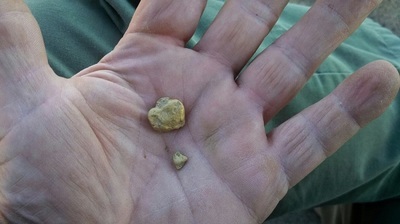 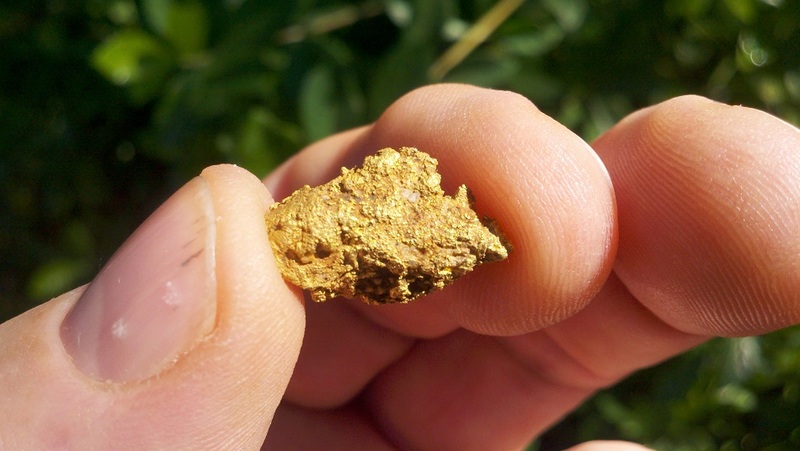 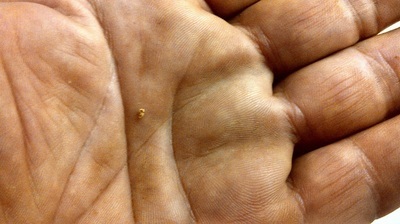 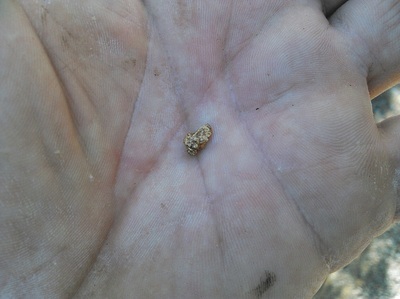 I still find lots of gold on public land, not as easily as ten or twenty years ago, but it is out there. 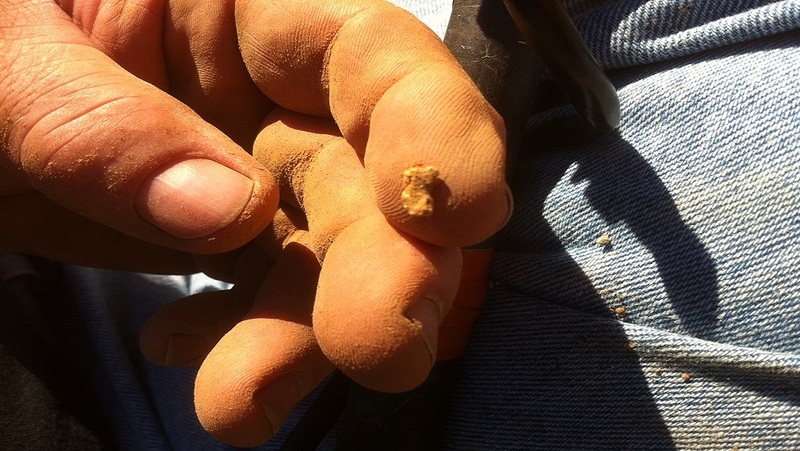 A friend pointing to the spot where a small piece of gold had just been detected using a GB Pro with the five inch stock coil. 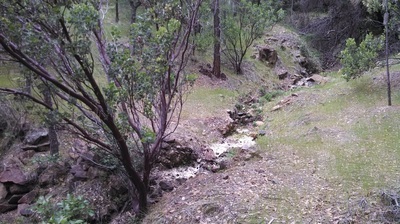 The material is clay that was thrown on top of the heap and is washing down the slope. 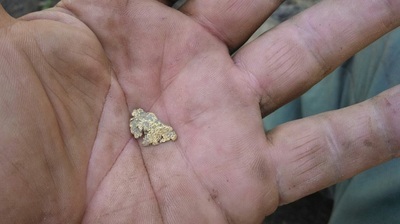 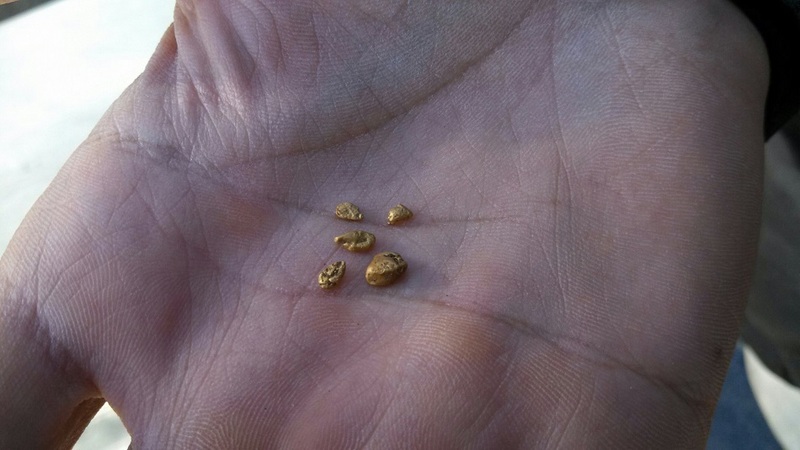 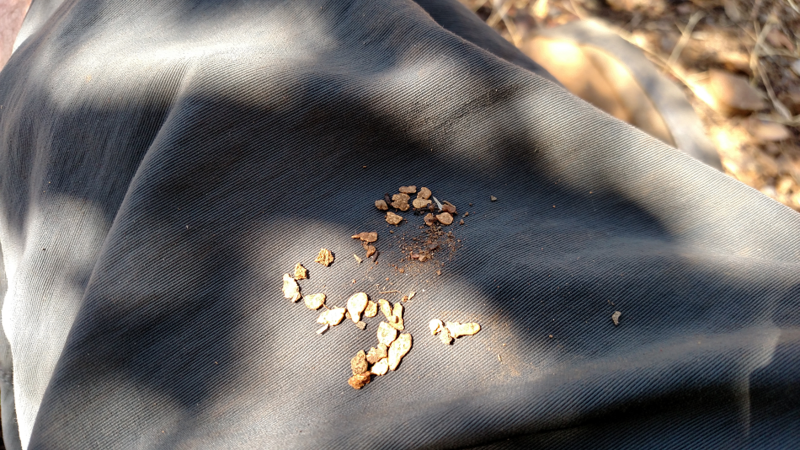 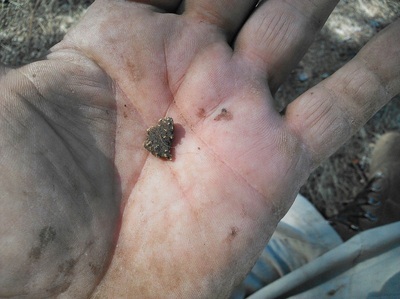 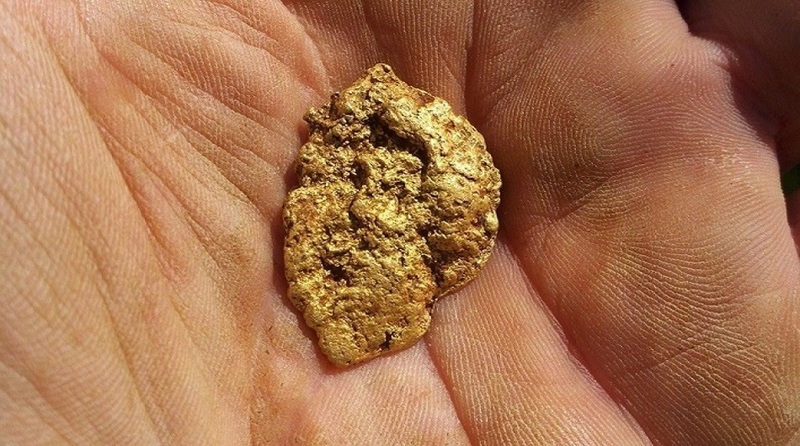 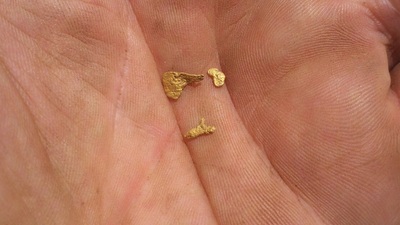 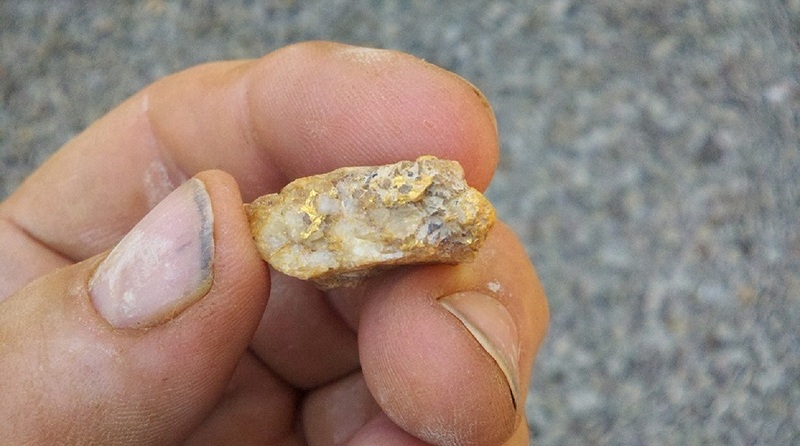 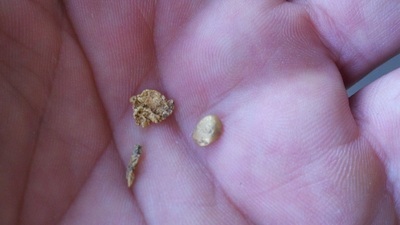 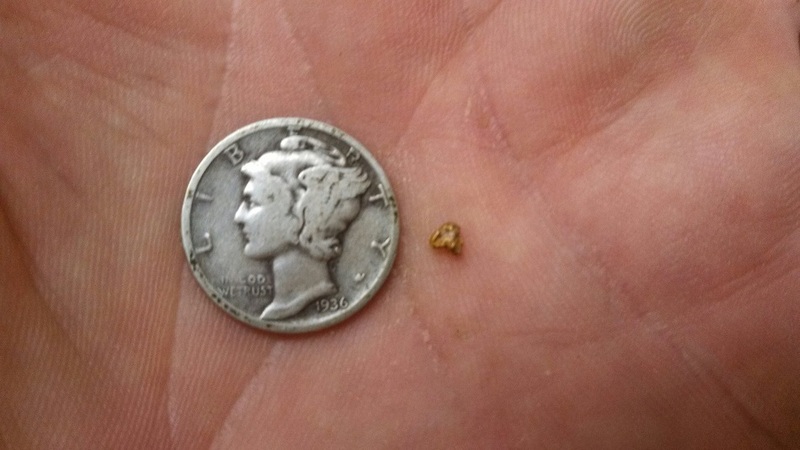 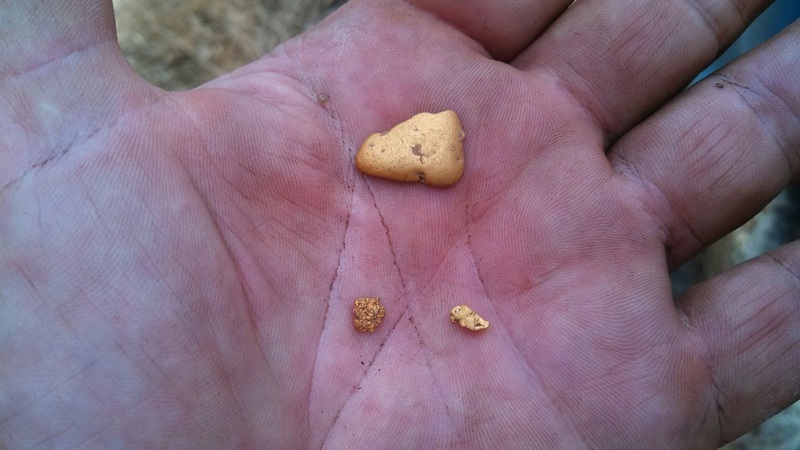 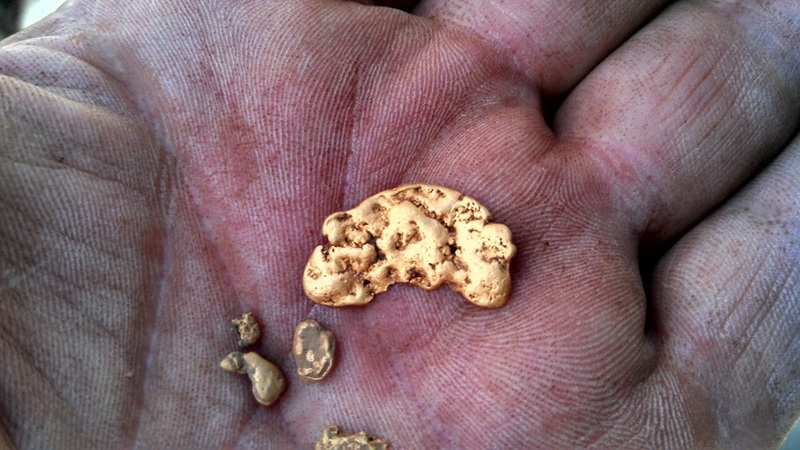 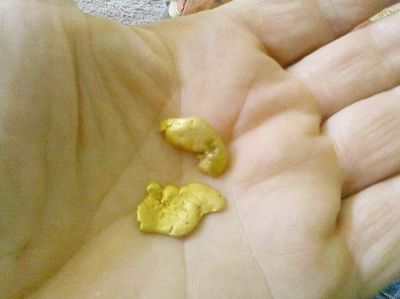 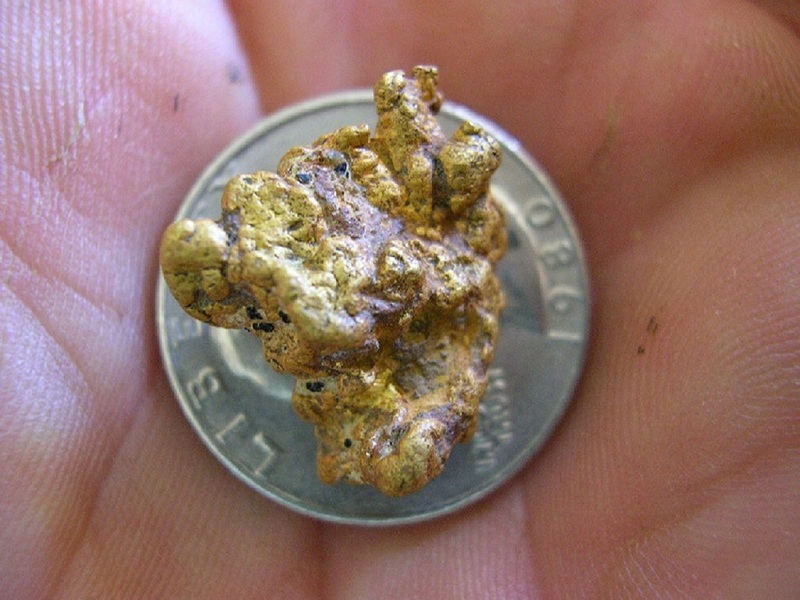 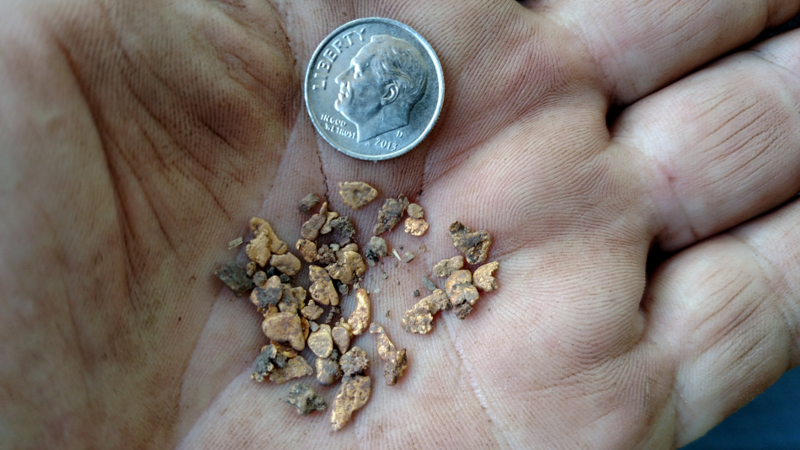 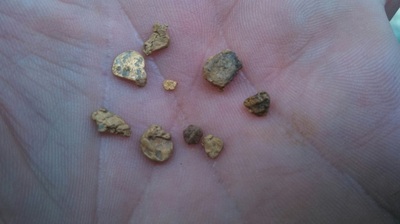 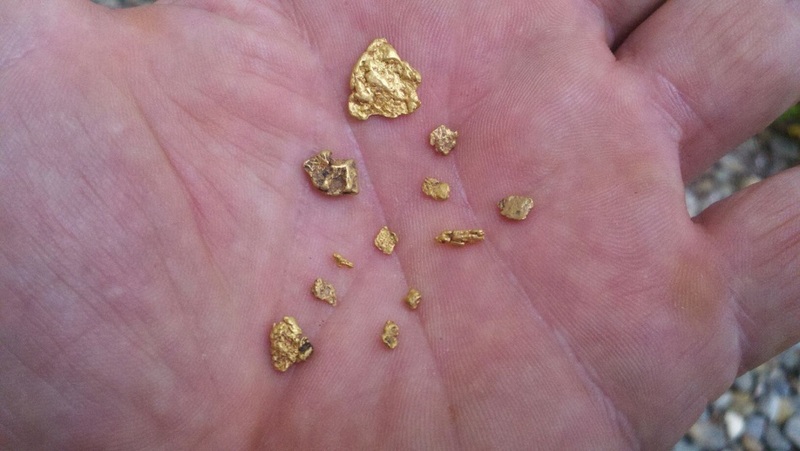 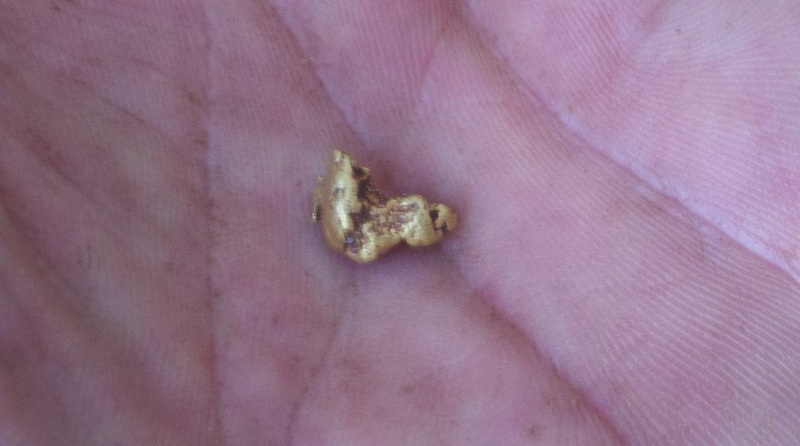 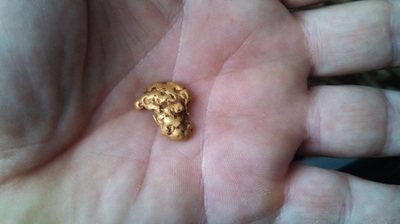 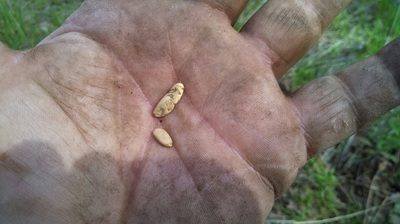 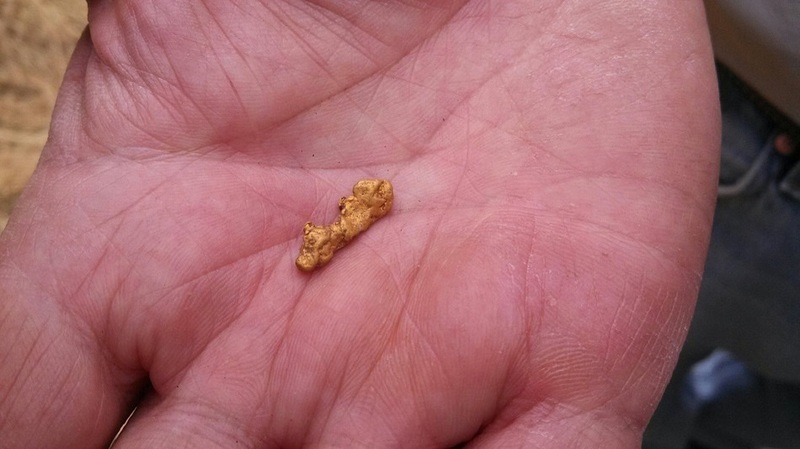 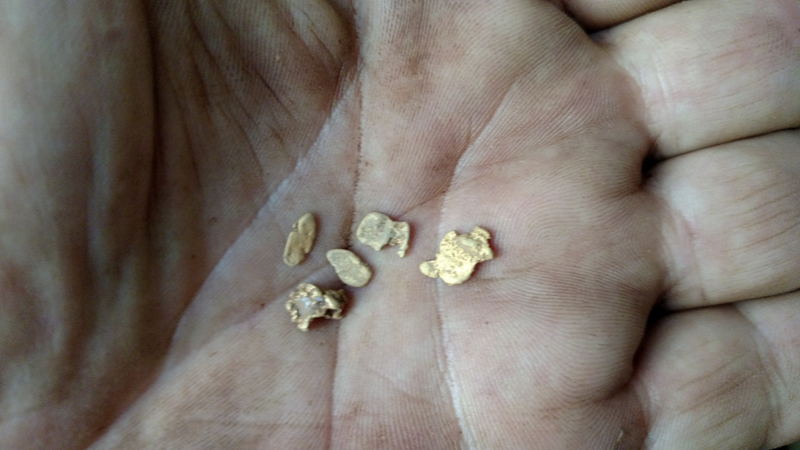 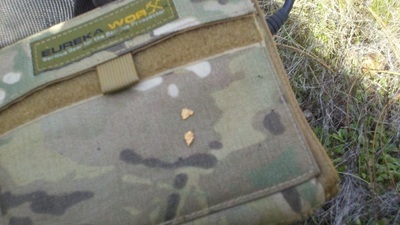 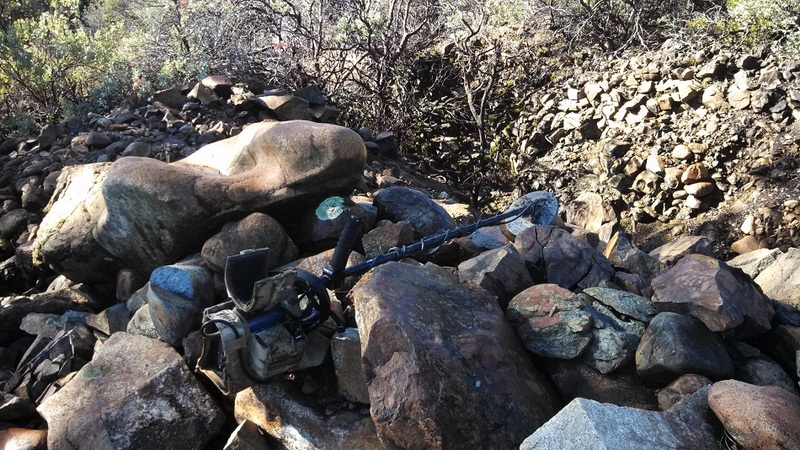 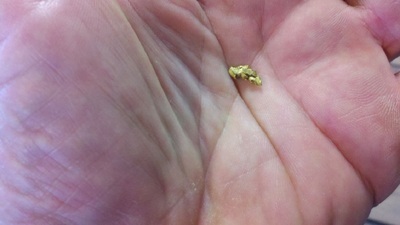 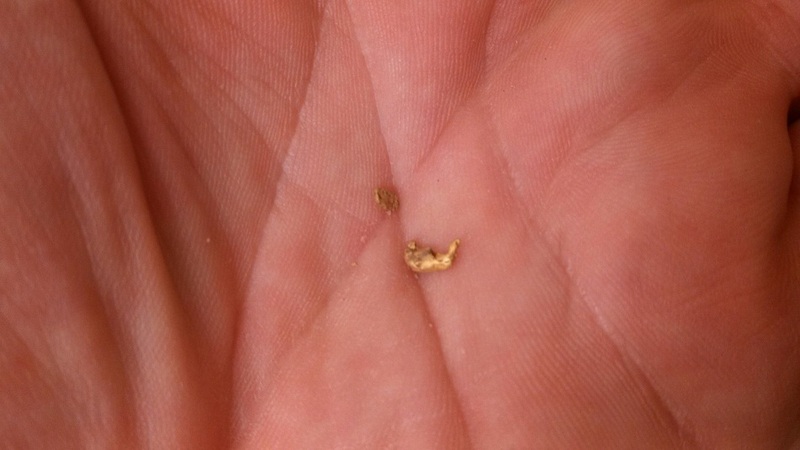 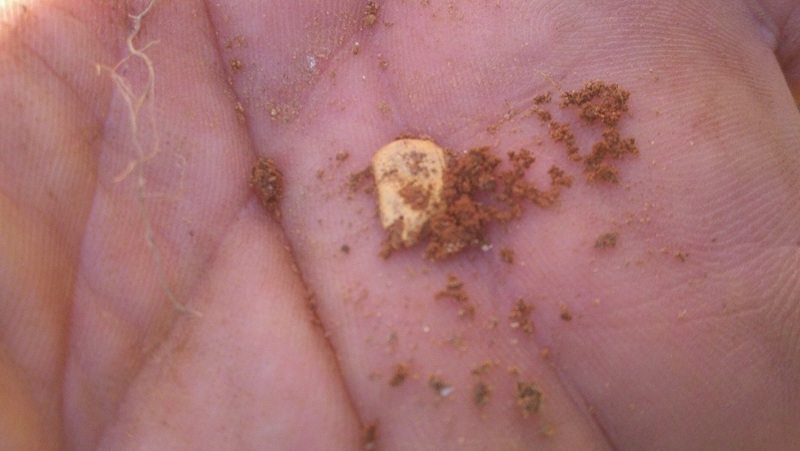 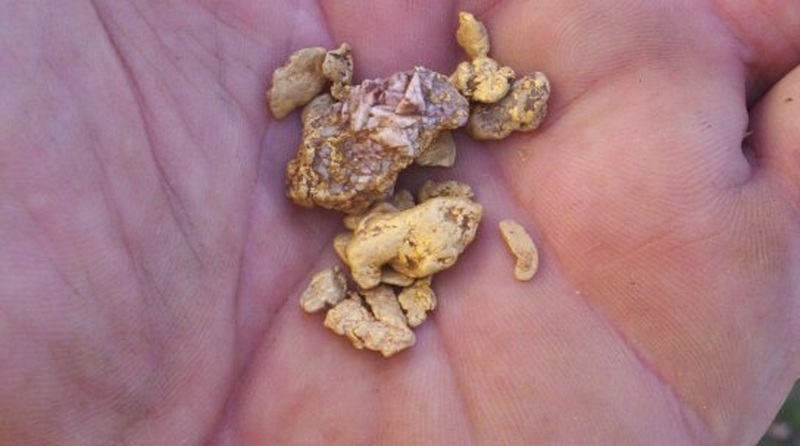 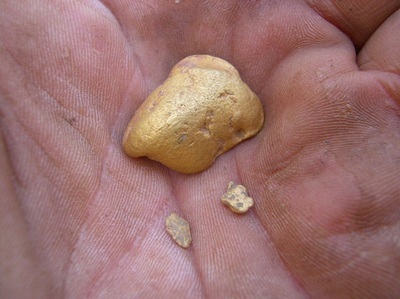 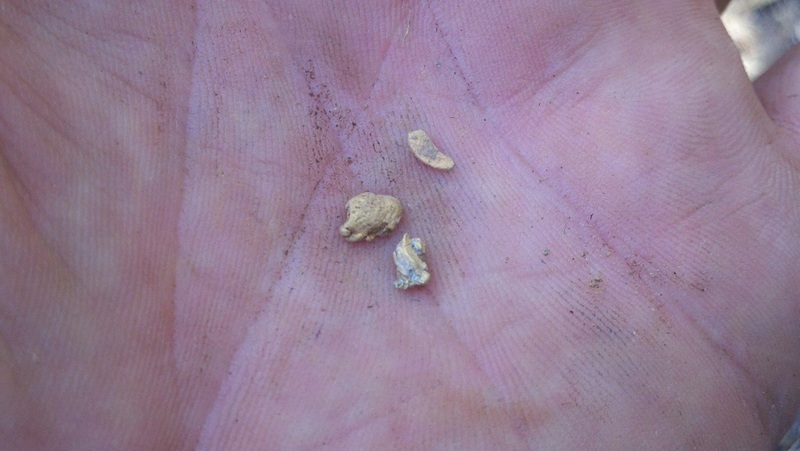 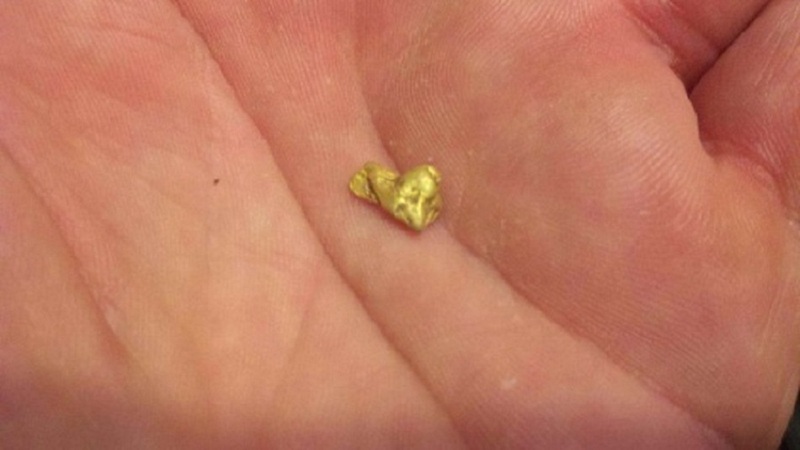 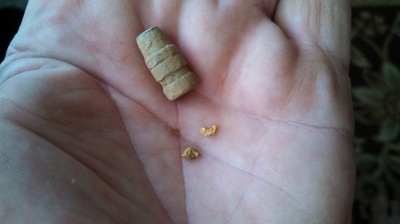 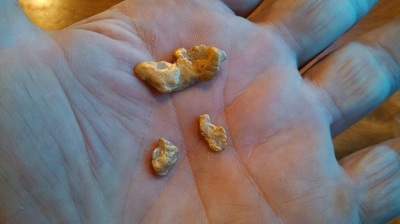 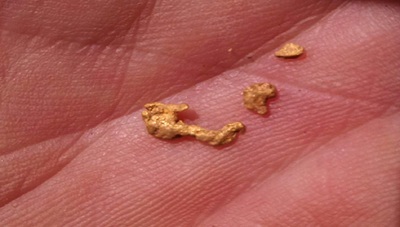 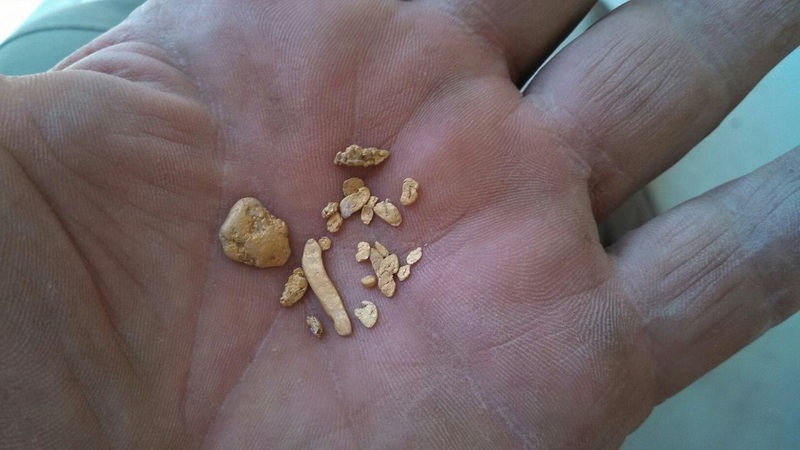 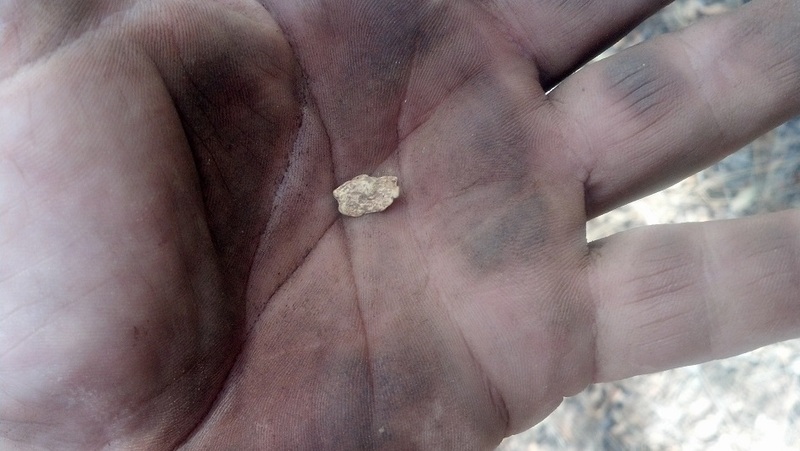 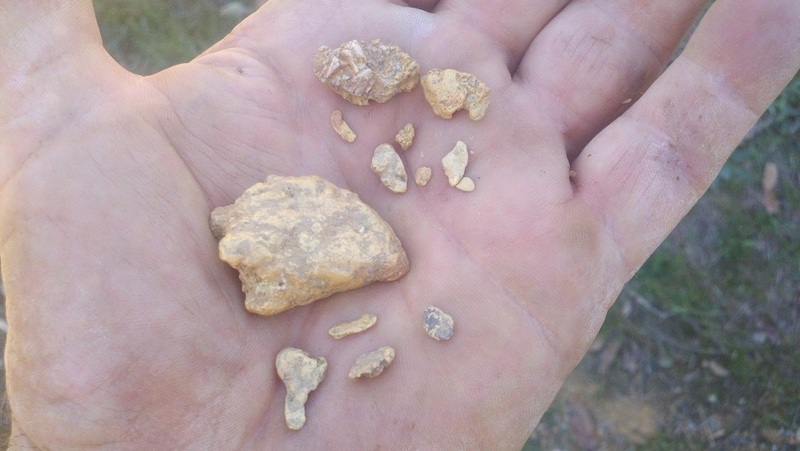 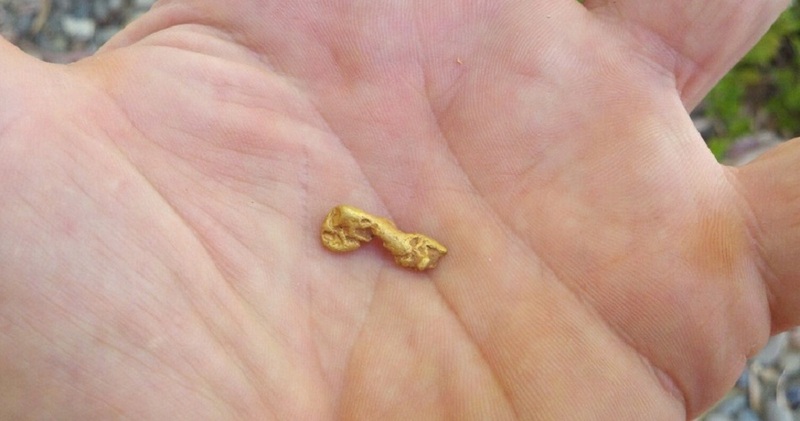 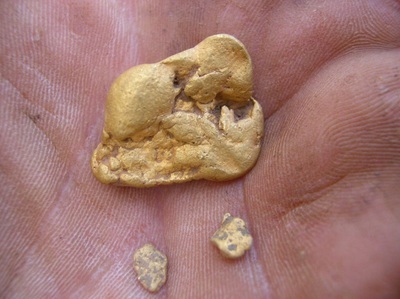 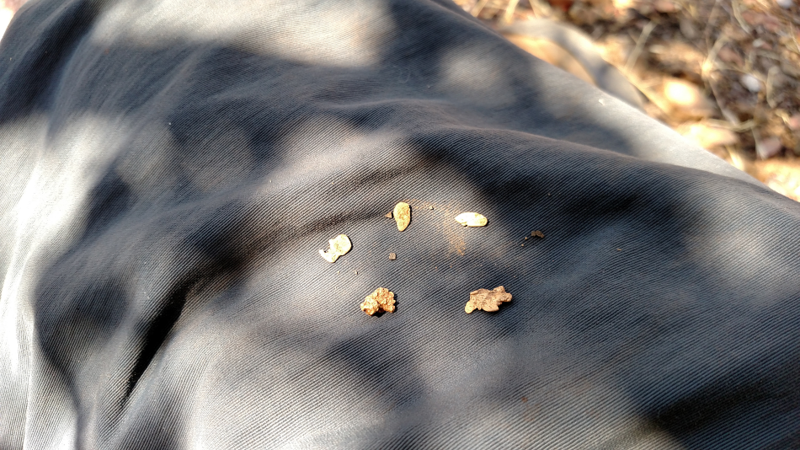 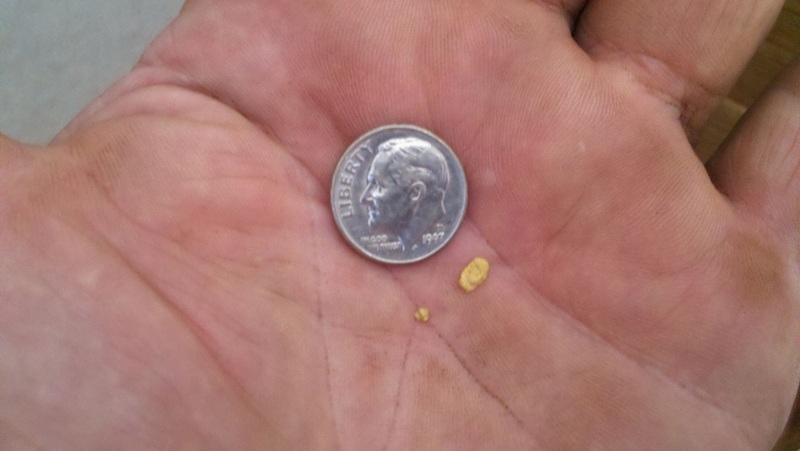 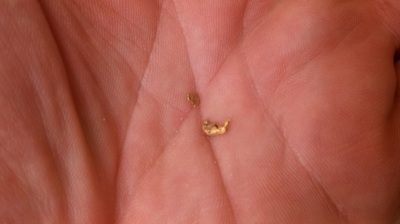 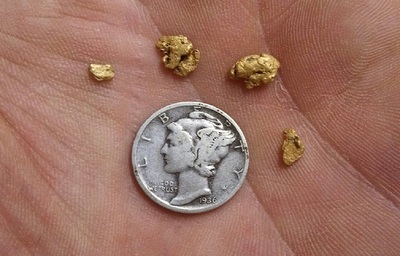 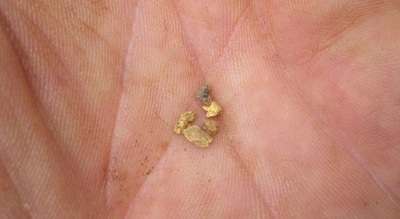 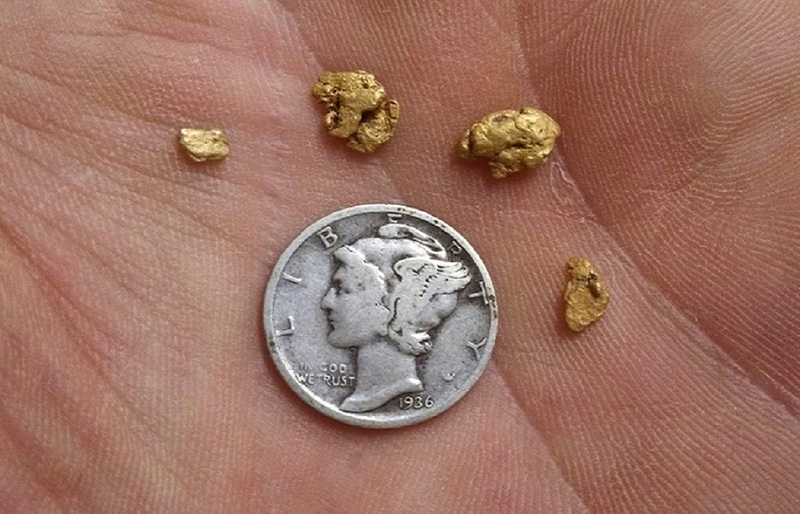 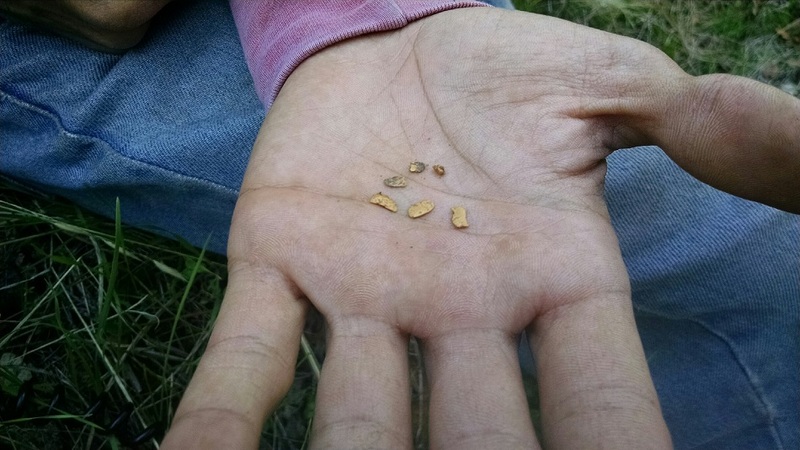 Nuggets found with the Fisher Gold Bug Pro and Minelab GP 3000. None of these pieces were over ten inches deep. A friend detecting an area that produced lots of nuggets in the past. 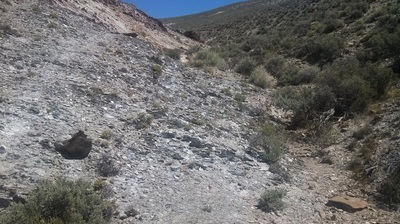 The bedrock had very deep crevices and the pieces were on edge. Usually the signal was very soft until the target was knocked down flat. Typical areas that I search for gold at. 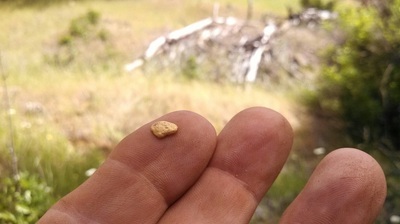 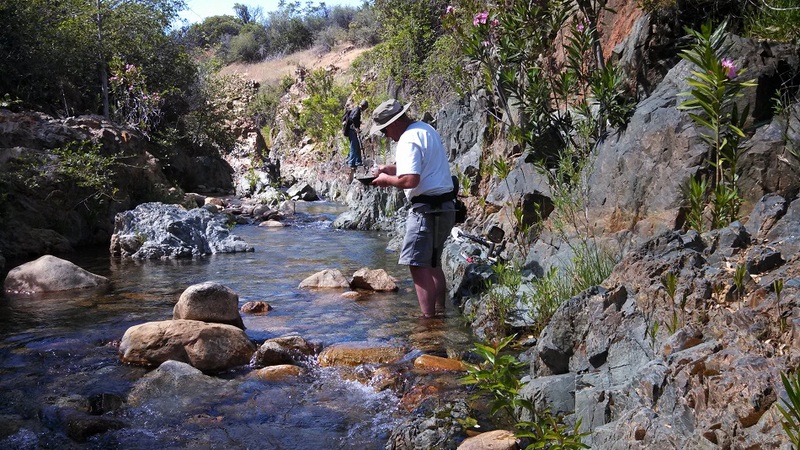 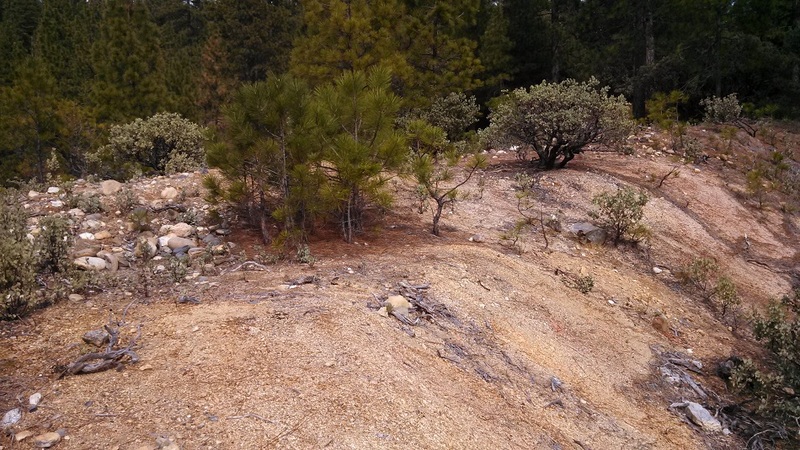 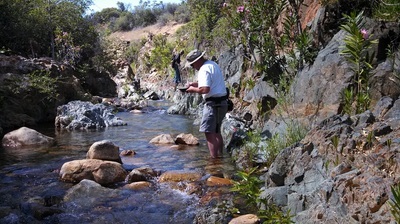 A friend detecting for gold at the Sawtooth Knob area of Northern Nevada. This is an area that many people have been detecting for years. 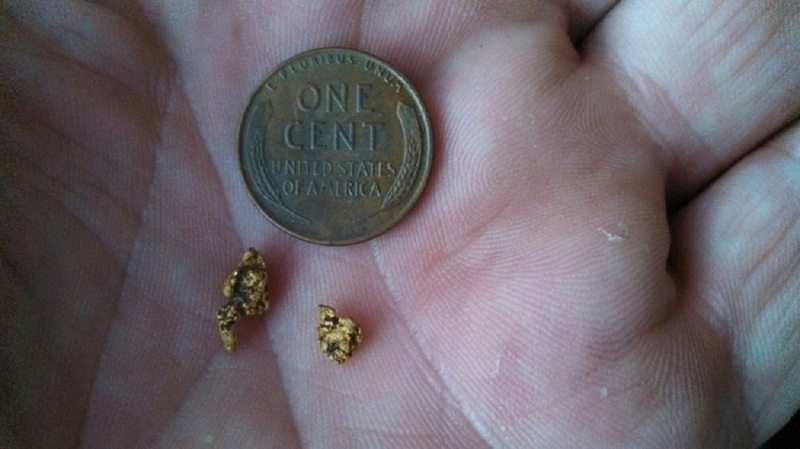 I have continued to go back at least once a year, and I still find gold. 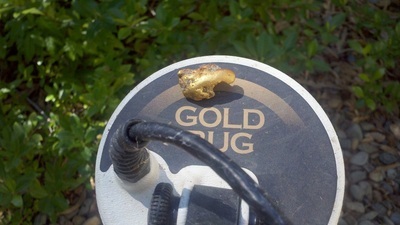 You will find more gold similar to the gold pictured here in this last set of pictures just about anywhere you are located. 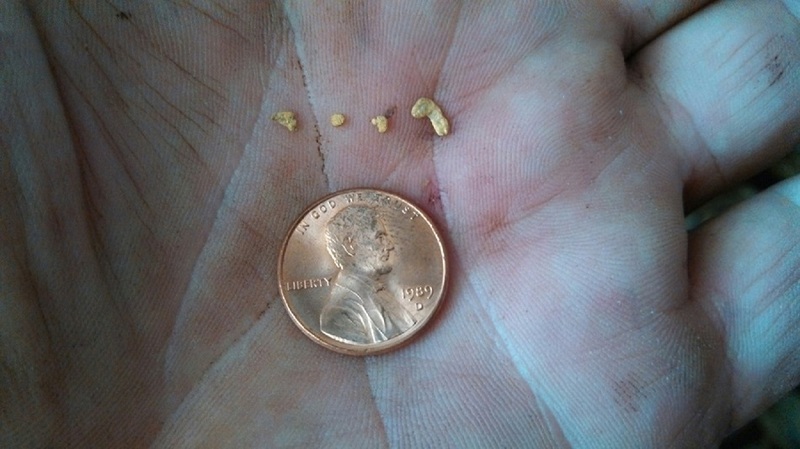 I have not come across any place yet that throws just the big ones.